Hey friends!! I (Jenni) haven’t been posting much on here due to pregnancy woes and such, but I THINK I am at the end of the worst part for me. I am always so curious to hear other women’s stories about pregnancy because it affects us all so differently. I personally am a major sicko my first trimester (and usually the first bit of my second), which is just no. freaking. fun. I am grateful to have a healthy baby so far and a healthy pregnancy though, so I will stop my whining now. 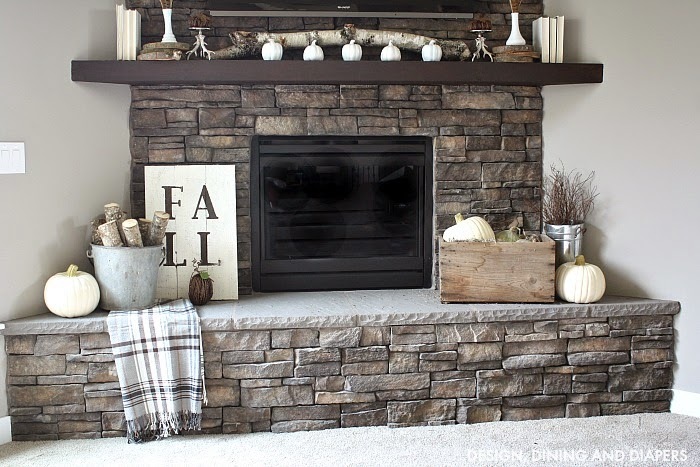 Among the many things that have been lacking in my life, my fall mantel decor is one of them. I bought a couple of lanterns on sale one day at Target. I came home so excited to put my mantel together during nap time. Yeah….. 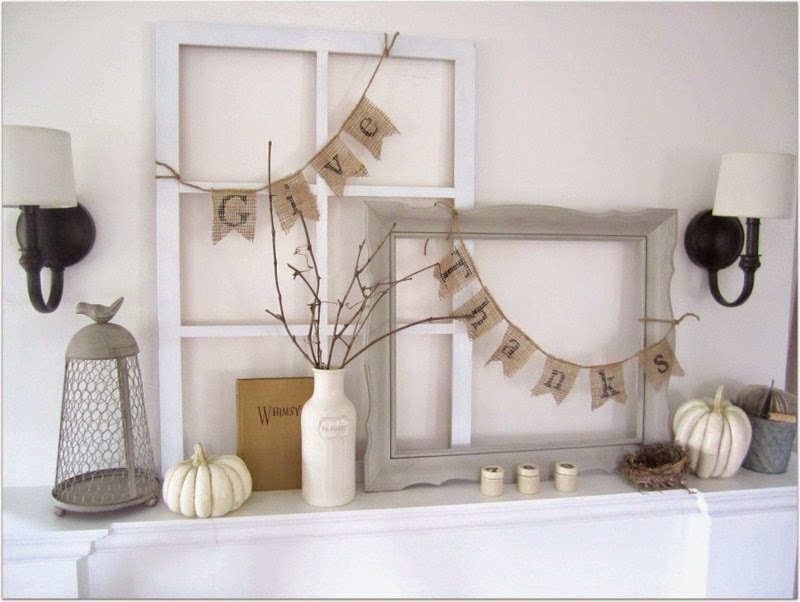 I got everything OFF of my mantel, however, I did not put anything new or “fallish” back up on my mantel for weeks. I decided to partake in nap time most days. Anyway, by default I ended up with our perfect mantel decor. I just wanted simple and neutral all the way. 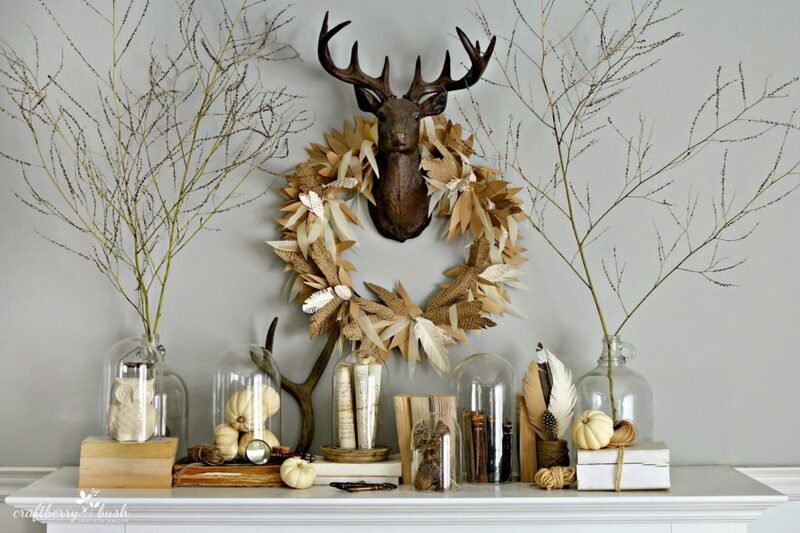 I love to use decor that I can leave up until Thanksgiving. 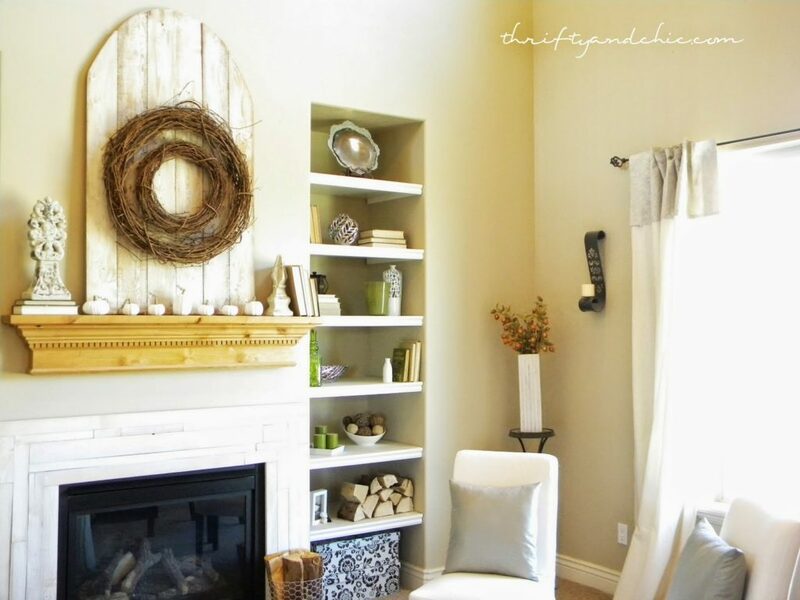 I may add a few feathers and other little things, but the overall decor stays the same. 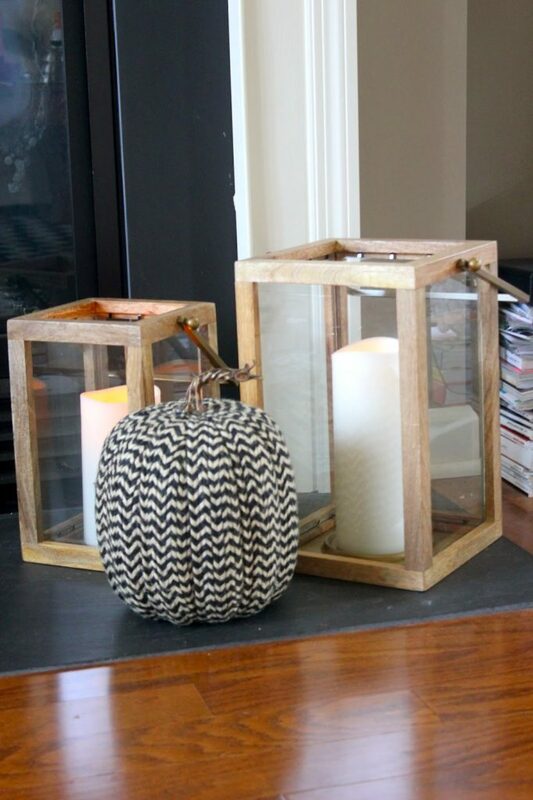 I already owned everything I used for my decor except for the lanterns, which I got for $30 and the chevron pumpkin. I think it was $10. I will use them year after year though and bought them on sale so I am okay with it. 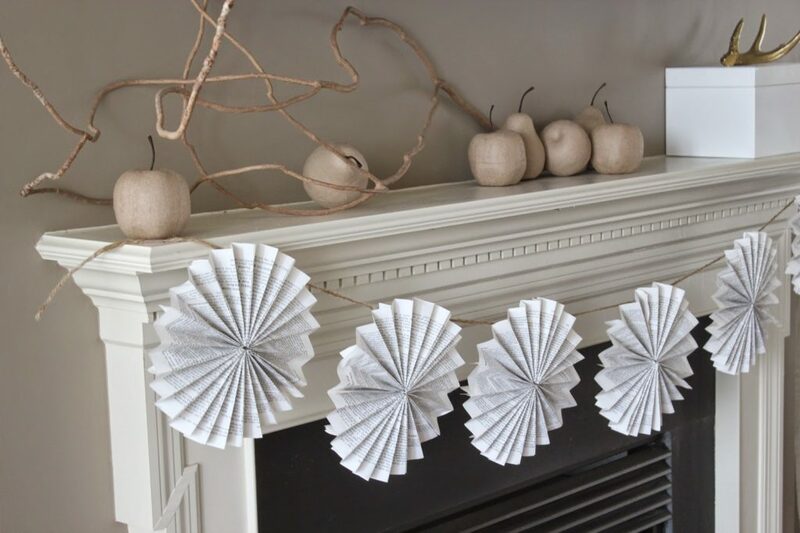 I made the book page garland last year. I actually stored it away in a box to get rid of it, but hadn’t gotten around to it. I am glad I had it to pull out and put to good use. 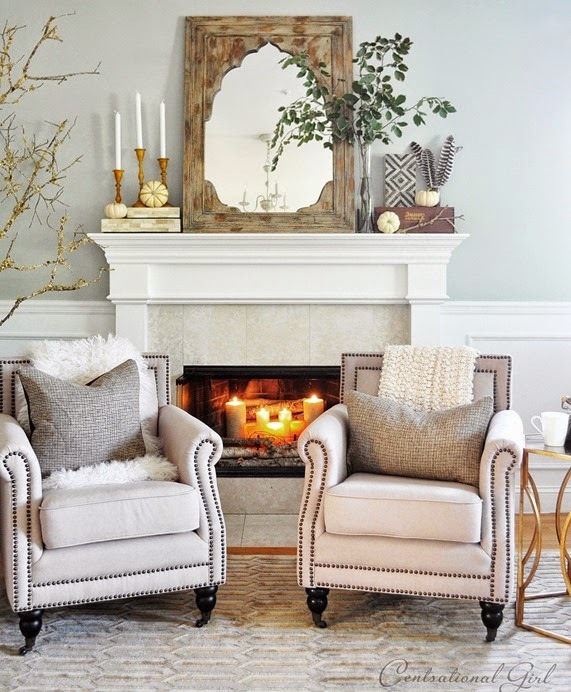 Below are some other inspirational mantels that I loved while searching through Pinterest for ideas for my own. 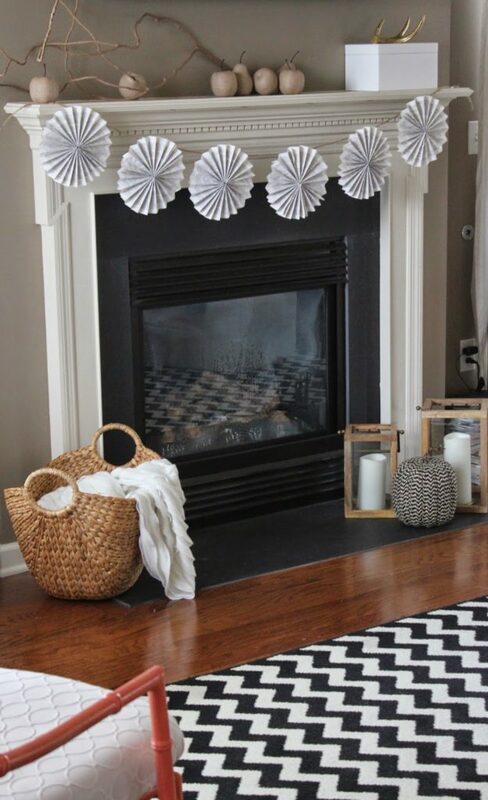 One thing for me that is important is to not spend a lot of money on mantel decor. 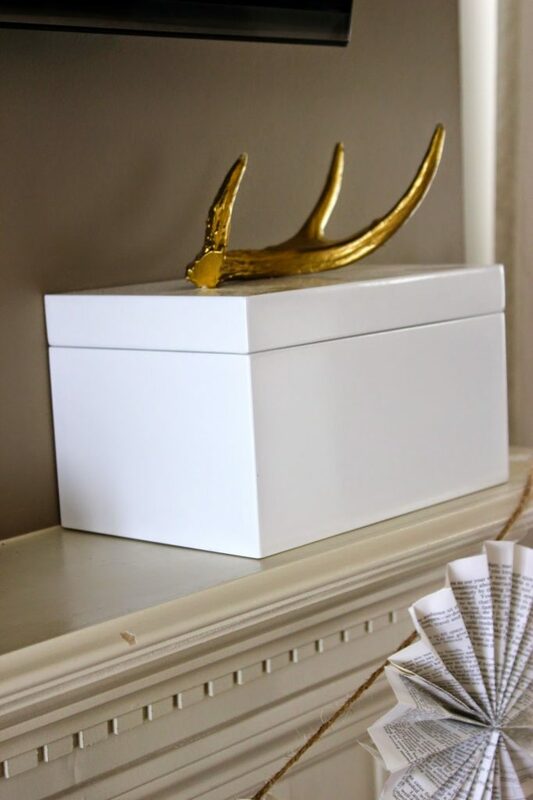 I like to just find things outside, thrift shops, around my house or simply get my craft on.